Explore Tikal National Park was declared a UNESCO World Heritage Site. For quote this program but with different hotels ask to Gray Line Guatemala. Explore the deep and mysterious jungles of Petén, where a great many ruins lay hidden within it's thick canopies. You will explore 2 of the great ancient Maya cities that held a great influence during the Classic Era of Mesoamerica, and constitute one of the most iconic locations in Guatemala. At 5:00 am we will pick you up from your hotel in Guatemala City and take you to Airport La Auroa, you will then board a flight to Flores, Peten ( AIR TICKET INCLUDED), Once you land,we will make our way to Yaxha. Located forty miles from Flores and within the Maya Biosphere Reserve, the Peten Rainforest is a vast jungle that hides a great many ruins, Yahxá being only one of dozens of ruins. It was once a ceremonial center with a particular affinity towards the study of the heavenly bodies, and a strong ally of Tikal. Yaxhá is an impressive site that deserves a visit. It is located near a lake where we will see Topoxte, which is a smaller site on the lake. After which we will have a traditional Guatemalan lunch. We will then head back to Flores, Peten. Breakfast. 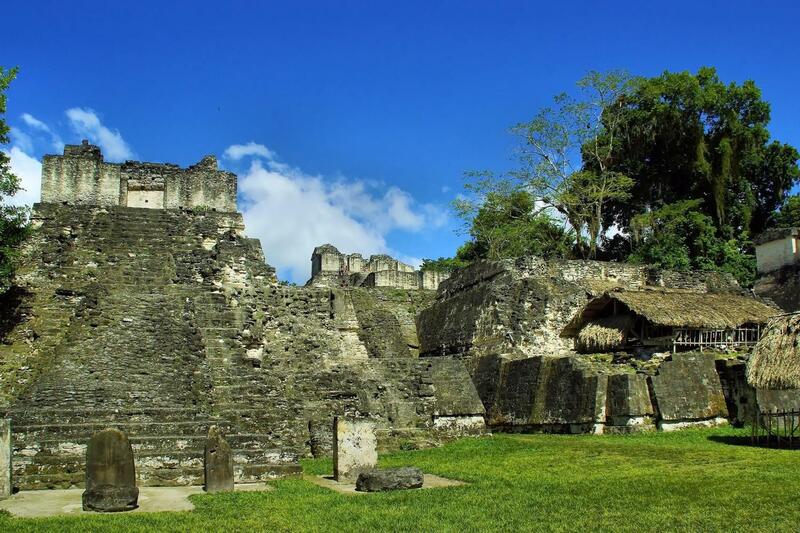 Visit to Tikal National Park, where Guatemala´s most iconic pyramids lay. Tikal was once a dominant city state within this region, dictating the course of the neighboring city states in the Classic Period. We will get to visit the Q complex, Plaza Central, Acropolis North and Center, Lost world, Temple IV where you can admire the green of the jungle. After which we will have a traditional Guatemalan lunch. At the end of the tour flight back to Guatemala City.